In this era of reduced federal and state resources for school, one of the most important functions of the Second Community Parent Group is to provide financial support for our school. 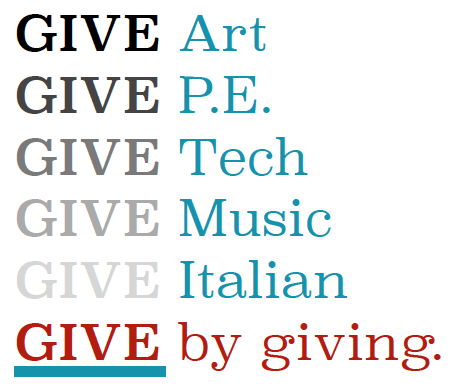 Our parent group organizes many fundraising events to sustain and support our outstanding enrichment programs in art, music, physical education, and computer science. Italian language classes are made possible by grants, and supplemented by parent contributions. These programs are crucial to a dynamic and well-rounded education, but they are not funded by the school district; they are supported entirely through the extensive fundraising efforts of our parents each year. The Second Community School Parents Association (SCPA) is a non-profit organization (Tax ID Number is 94-3205047). Please consult your tax adviser about the deductibility of your donation.